On Saturday 27th January 2018, five members of the Sussex Wing Adventure Training Team from the Royal Air Force Air Cadets set out on a Winter Mountain Foundation Course supported by the Ulysses Trust and run by experienced International and Winter Mountain Leader, Chris Conley. 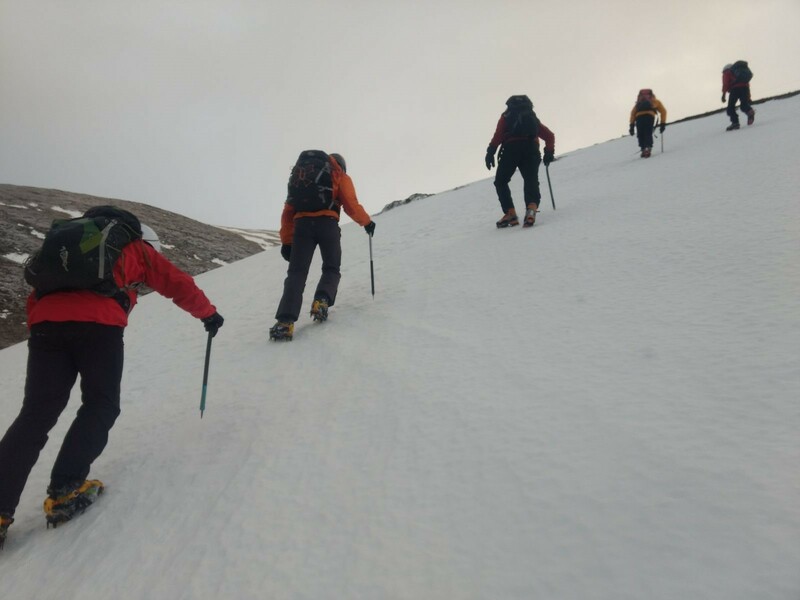 The aim of the expedition was to introduce winter mountain skills to members of the team who were already experienced in summer mountaineering. Two of the team members, Mark Sinclair and Tim Welsh, are due to lead an overseas expedition to Peru in August so this course was an ideal opportunity to experience working at altitude. The team flew from London Gatwick to Inverness and then on to Feshiebridge Lodge, an excellent self catered facility run by the RAF Charitable Trust for RAF families, Regular, Reserve and Cadet Forces. After a quick stop at Tesco in Aviemore to pick up rations, we were good to go for the week. Day 1 – Started with in-depth briefings and lectures in equipment, weather and use of transceivers. 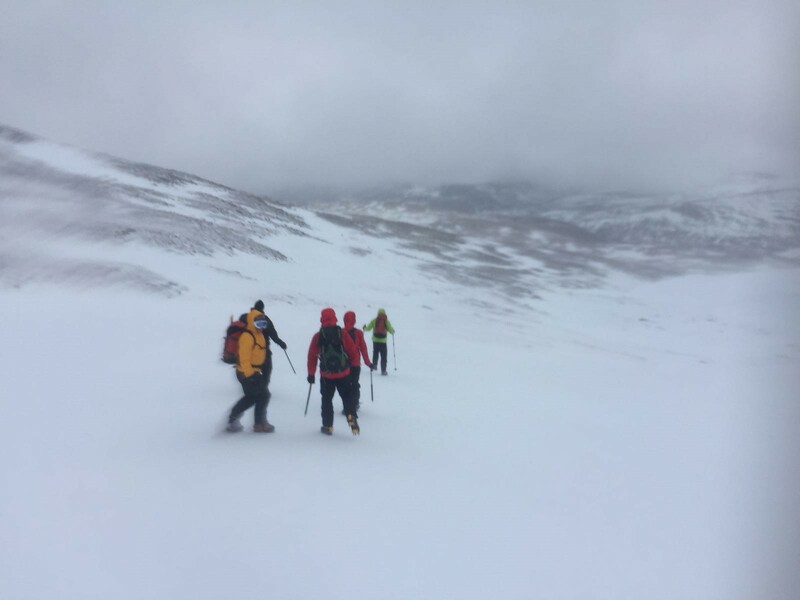 Once armed with all of the necessary emergency equipment; blizzard bags, group shelters, survival bags, transceivers, probes, shovels, head torches etc, the team left for the Ranger Ski Centre at Cairn Gorm. We spent the day training on Coire Cas, up to Headwall via the Fiachall. Weather conditions were windy and overcast. 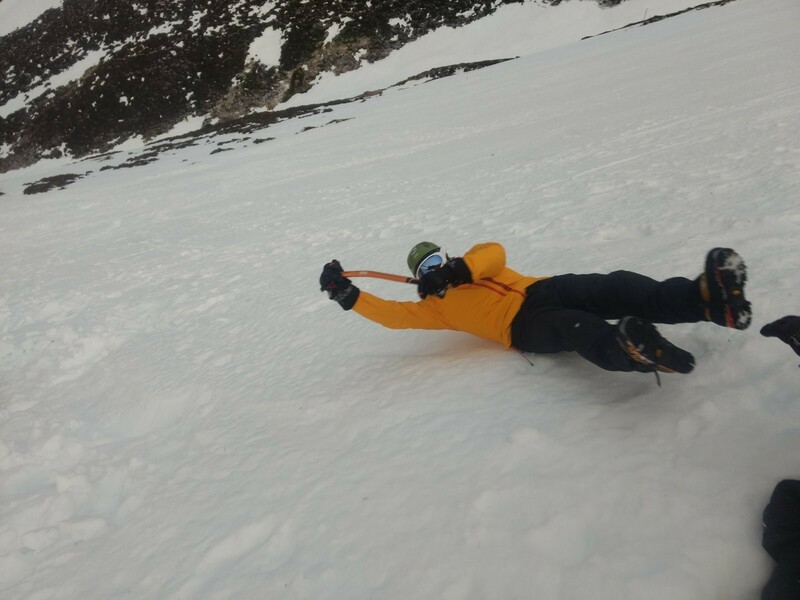 Training for today included looking at Snowpack, movement skills on snow, use of transceivers (including burial, probing and shovel work) and basic use of ice axes. 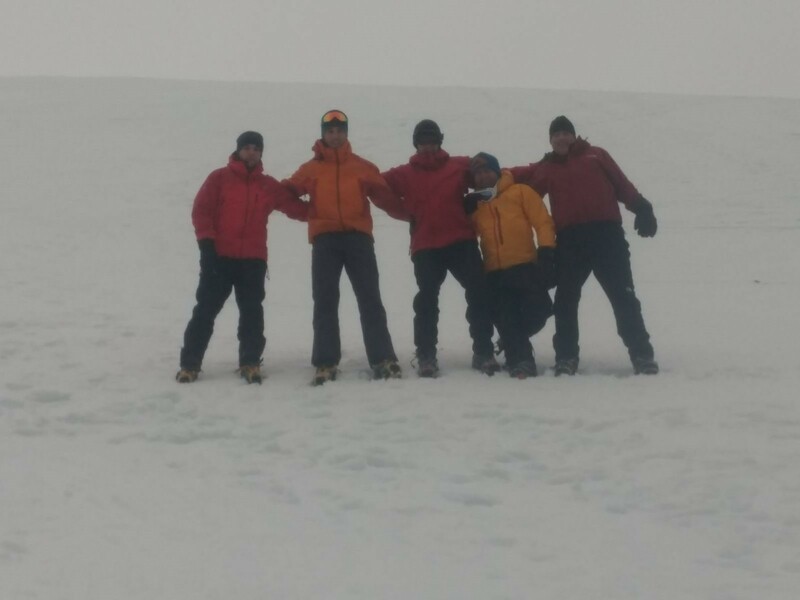 Day 2 – Following daily risk management and weather briefings, the team headed to Coire Na Ciste, Cairn Gorm. The aim of today’s training was to introduce crampons. We looked at cutting steps, ascending, descending and traversing using crampons and working with ice axes. The team also recapped on all of the previous days training. After lunch on the hill, we spent the afternoon looking at self arrest and ice axe arrest. This was a new experience to all of the team members; it was both challenging and exciting at the same time! For some, the thought of voluntary ‘sliding’ took a little getting used too! The weather conditions added to the challenge with continuous snow showers throughout the day. 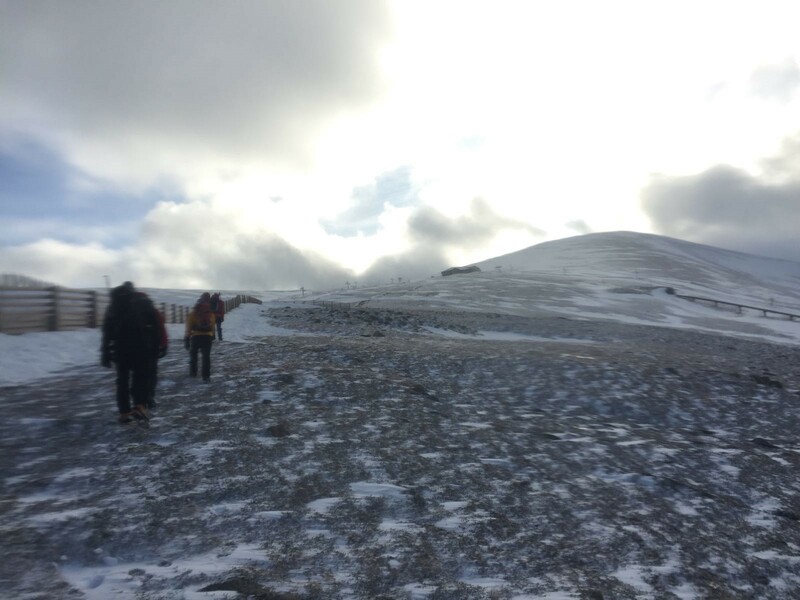 Day 3 – Mountain day – The team left early to ascend Cairn Gorm via Windy Ridge. The weather deteriorated as the day went on with 70+ mph winds and snow showers. The temperature was below 0 degrees. We spent the morning looking at mountain navigation including distance and pacing and identifying cornices. After a short break for lunch, we found a sheltered area and spent the next few hours looking at emergency snow shelters and planning an overnight expedition. The team built various individual shelters followed by a large enough shelter to house all six team members if required. Following the main descent, the team stopped for a well deserved hot chocolate and piece of cake at the mountain summit funicular station! 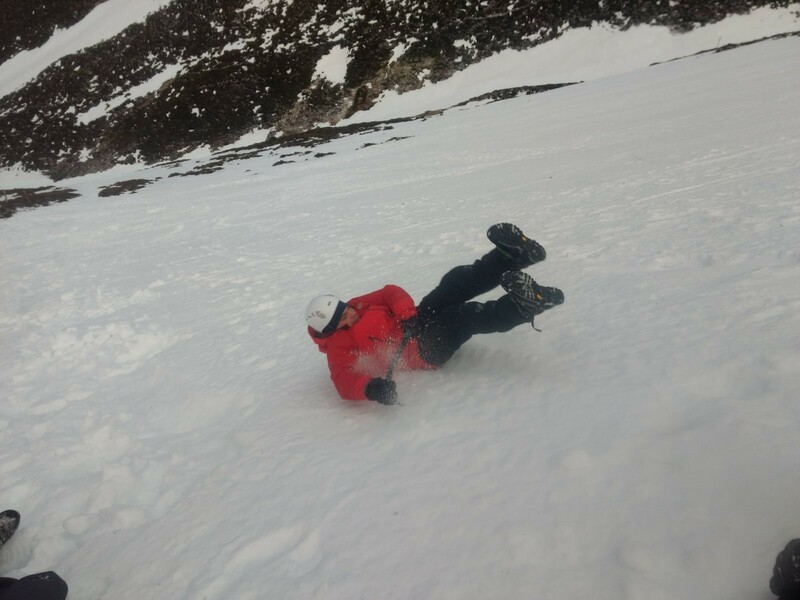 – This was a fantastic opportunity to experience real life Scottish winter mountain weather! 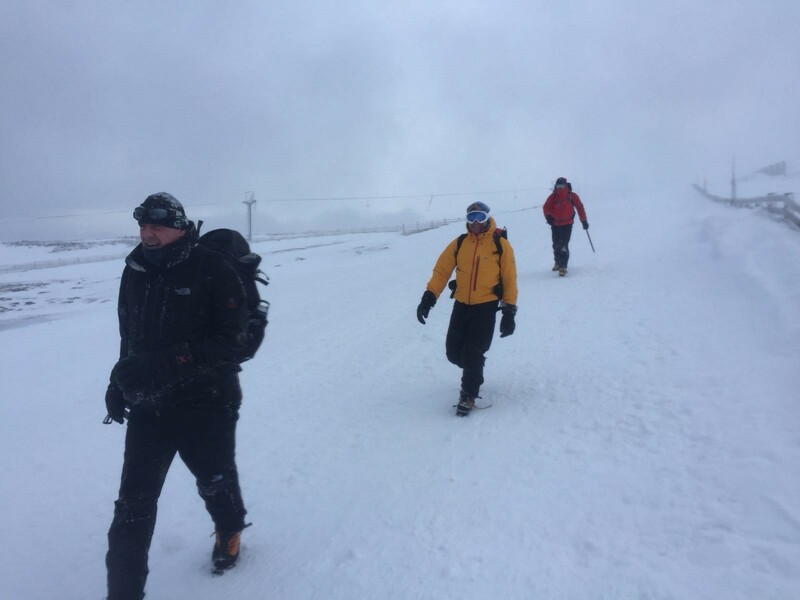 Day 4 – Chris decided that the conditions in the morning were too poor for the team to gain any further training. We therefore spent the morning looking at more in-depth weather planning, group and incident management and other winter skills. In the afternoon, the team headed back to the more sheltered area of Coire Na Ciste to look at further axe placement, bucket seats and pitched climbing from bucket seats. The team encountered blizzard conditions at on the descent at 1730. 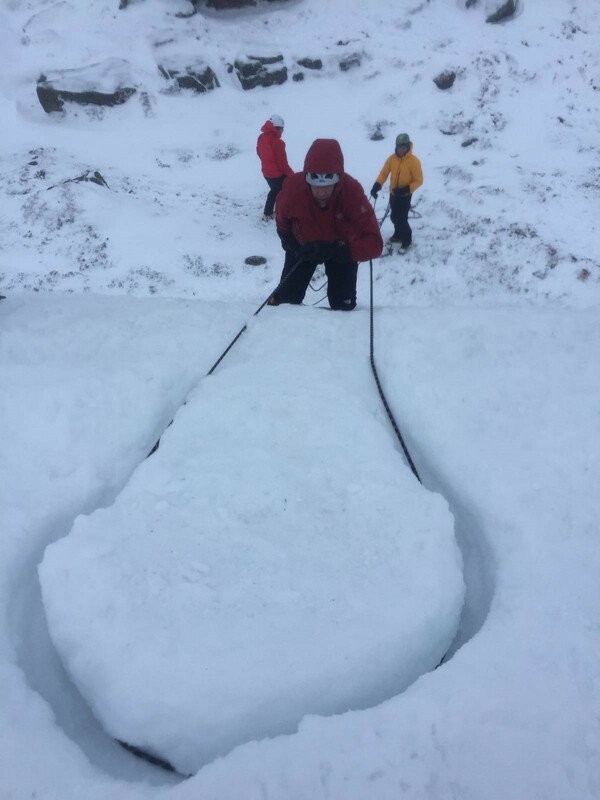 Day 5 – Final day – The final day saw the team head to Coire Mor to look at further rope work and skills. By this time, we had completed the majority of the course and Chris decided to expand our skills and knowledge. We looked at bollard anchors, stomper anchors, boot axes and put everything we had learnt throughout the week in to practice, including revisiting navigation and transceiver work. We finished the course looking at dynamic sliding belays from bucket seats which was a fantastic experience! 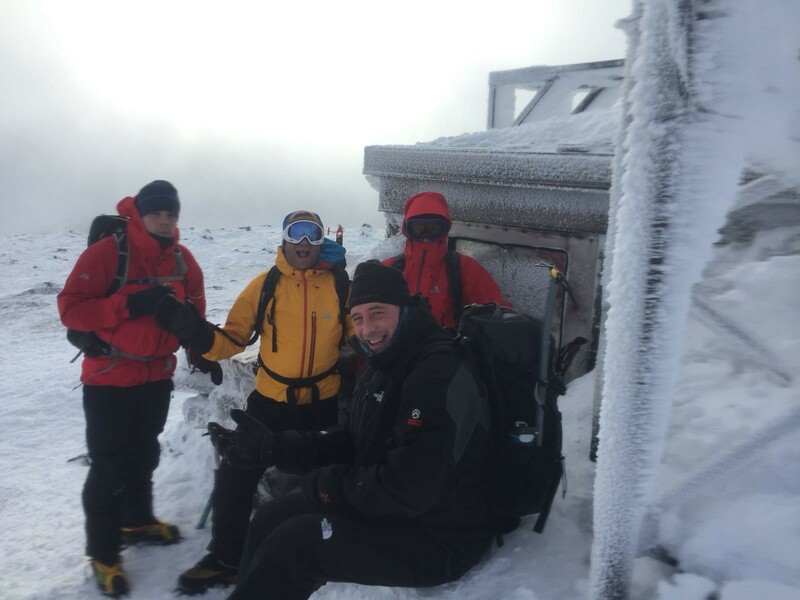 Exercise Grampian Winter was a fantastic opportunity for the team to experience a Winter Mountain Foundation Course. The skills developed on the course were invaluable and have provided the staff with added skills and experience that can be incorporated in to current cadet training and development. The course had particular impact on two of the team members who are involved in an overseas expedition to Peru in August. It provided important training in working at altitude and altitude and mountain sickness. 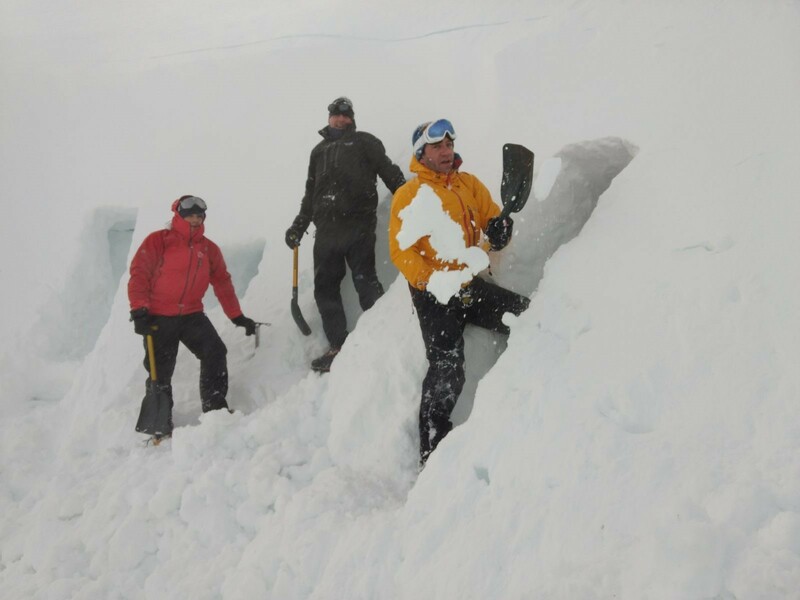 The course was challenging to all team members who had to perform outside of their comfort zones in often challenging weather and other changing environmental conditions. 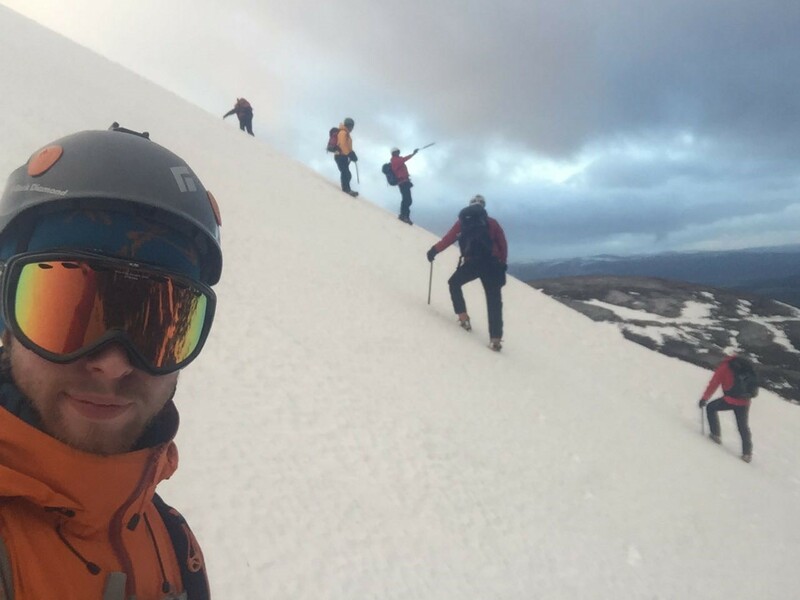 All of the team members agreed that they would continue to develop their skills in winter mountaineering and return to the Scottish mountains next season. The course would not have gone ahead without the financial support from the Ulysses Trust. It was an unforgettable and truly fantastic learning experience. Tim Welsh commented that ‘although he had been involved in many years of summer mountaineering, he had learnt new skills in moving on steep ground in ice and snow that will give him more confidence at leading groups in more challenging environments’. Scott Chamberlaine is a recently qualified summer Mountain Leader and was ‘keen to use the new skills developed on this course when leading his own groups in the mountains’. Mark Milligan is a seasoned Mountain Leader and noted that it was ‘great to brush up on current knowledge and learn new skills and current best practice’. For me, the entire course was a fantastic experience from start to finish. As a keen climber, I particularly enjoyed the rope skills work and putting that in to practice. It was great to put 100% trust in your team members when carrying out the dynamic belaying exercises!